We're well versed in the ins and outs of closet cleanups, but it's not often that we benefit from someone else's chore. So, consider this your lucky day. Scoop NYC is clearing out their overstuffed stores to make room for the new fall merch, and they're putting summer stock on a big discount. To encourage us to indulge in a little retail therapy, the boutique is marking down items up to 85% off — keep an eye out for duds from the likes of Alice + Olivia, DVF, Alexander Wang, and Marc Jacobs. Plus, for those of us stuck in the office all day long (cough, cough), they're offering the major markdowns online for the first time ever. We know you're already crushing on fall's new goodies, but stocking up on summer staples is so much easier on your wallet. 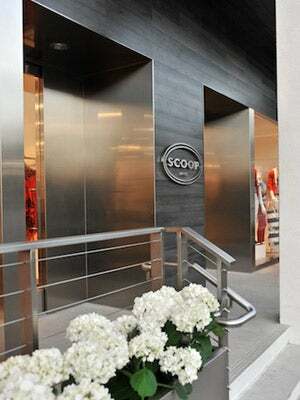 When: Monday through Saturday, from 11 a.m. to 8 p.m.; Sunday, from 11 a.m. to 7 p.m.
Where: Scoop, 430 West 14th Street (at Washington Street); 212-691-1905.